Harriet Stanton followed the drum until the deaths of her husband and father, army officers in the war against Napoleon Bonaparte. Destitute, on the verge of starvation, she returns to England, with her three-year-old son, Arthur. Although she has never met her father-in-law, the Earl of Pennington, with whom her late husband had cut all ties, for Arthur’s sake, Harriet decides to ask Pennington for help. Turned away from his London house by servants, she is rescued by Georgianne Tarrant, who founded an institution to help soldiers’ widows and orphans. 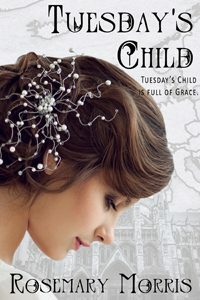 Desperate for an heir, the earl welcomes Harriet, and Arthur, whose every wish he grants. At first, Harriet is grateful to her father-in-law, but, as time goes she is locked in a silent battle to control Arthur, who has tantrums if he is denied anything. After Pennington refuses his permission for Arthur to swim in the lake, Arthur defies him. About to drown, he is rescued by charismatic Dominic, Reverend Markham, the Earl and Countess Faucon’s son. At the lakeside, Dominic meets Harriet. She is so dainty that his immediate impression is of a fairy. Despite her appearance, he is mistaken. Harriet is not a pampered lady by birth. During brutal campaigns, she milked goats and cooked over camp fires. Harriet Stanton clutched her three year-old son’s hand while she waited, with the utmost trepidation, for the front door of the Earl of Pennington’s imposing house to open. In desperate need of reassurance, Harriet glanced at her generous patroness, Georgianne Tarrant, who wore a fashionable cream muslin gown and pelisse. With a sigh, Harriet accepted she looked like an insignificatnt sparrow, in her shabby, plain black clothes, by comparison to Mrs Tarrant, whose clothes and every movement revealed the self-assurance of a beautiful young matron married to an extremely wealthy gentleman. Harriet shivered, wary of the two bruisers, employed by Major Tarrant to protect his wife, who stood behind them. Protect Mrs Tarrant from what? She decided it would be impertinent to ask. Ill-at-ease on the verge of what might be a significant change in her life, Harriet turned her head to look over her shoulder at the muscular men, and Johnson, an intrepid former soldier, whom Mrs Tarrant employed to help with her charity, Foundation House for the Betterment of Former Soldiers and Their Families. Well, she was a soldier’s widow, whom, with Johnson’s help, Mrs Tarrant rescued. Yet what would happen if the earl rejected her and her son? While Harriet fought the familiar panic, which churned her stomach, the glossy black-painted door with brass fittings swung open, revealing the haughty middle-aged butler to whom she spoke on a previous occasion. A quiver passed across his face at the sight of the group on the doorstep. He took a small step back across the spotless black-veined white marble floor. Perhaps they alarmed him. Georgianne offered him her card. Harriet held her son’s small hand a little tighter. “Come,” she told him, prepared to turn away from the door. “Wait.” Georgianne’s imperious voice halted Harriet. In response to a graceful flick of Georgianne’s gloved fingers, the burly bruisers stepped forward to stand on either side of the threshold. The butler’s face paled. He stepped back to allow them to enter the house. Applause, however well-deserved, would be vulgar, so Harriet did not obey her instinct to clap. His back rigid with palpable indignation, the butler led them through a hall, perfumed by vases of white lilies and roses. When they followed him up a grand staircase with wrought iron bannisters, light from a circular skylight, set in the ceiling of the top floor, poured onto them. On the first floor, still holding her son’s hand, Harriet walked next to Mrs Tarrant along a wide gallery, hung with oil paintings of ladies and gentlemen dressed in the elaborate clothes of bygone ages. The butler opened one of a pair of doors. “Mrs Tarrant and her companions, my lord,” he announced. Wide-eyed, Harriet stepped into the room. She looked around. No expense had been spared in this house. A crystal chandelier hung above a mahogany table set with handpainted china and monogrammed silver flatware. While Johnson and the bruisers chose positions by the walls in the room hung with striped pea-green and gold wallpaper, an old gentleman, glared at his visitors from his seat at the table. With keen interest, Harriet scrutinised the peer of the realm. The earl’s purple turban did not flatter his wrinkled face with dark shadows under his eyes. “Mrs Tarrant wouldn’t be denied, my lord,” the butler murmured, his face ashen. Harriet glanced from the earl to Jarvis. Why should the man fear the earl? Harriet gasped, amazed by the earl’s unpardonable rudeness. Mrs Tarrant ignored it. Harriet’s upper lip curled inward. The idea of the elderly nobleman, with prominent veins and dark splotches on his hands, married to a beauty young enough to be his granddaughter repulsed her. Faint with nervous anticipation, with her son on her lap, Harriet perched on a chair next to her benefactress. “My lord, I am here to inform you have another heir,” Georgianne informed him. “Can it be?” Pennington asked in a broken voice. Her son shook his head, and plugged his mouth with his thumb. Pennington leaned forward. “Have you proof?” he demanded. In response to the earl’s sharp tone of voice, the bruisers, who had been standing still as soldiers before a superior officer shuffled their feet. “Yes, I assumed you would be suspicious.” With her ususal grace, Georgianne beckoned to Johnson, who stepped forward to hand a leather folder to the earl. He stared at Harriet, appearing to come to terms with the idea she and his grandson existed. Embarrassed, she fidgeted. A hot flush flooded her cheeks. “Lady Castleton, why did not you come to me after my son died?” the earl enquired, in a tone that seemed to imply she was guilty of an offence. “Thank you for searching for us.” She tried to calm her misgivings with the thought that age might have mellowed her father-in-law. Maybe he was no longer the cruel, unreasonable nobleman her husband once described. “No need for you to tell me more about your desperate situation, Lady Castleton, you and my grandson are welcome here, most welcome. From now on, you shall live with me.” His thin lips stretched into a smile. How kind of him. The tension seeped out of every muscle in her body. “Thank you, my lord,” she replied, with great relief. Pennington nodded, a sour expression on his face. The earl rang a bell. The door opened; the butler preceded a pair of footmen into the parlour. Harriet shook her head. “My lord –” she began. “Very well.” Her father-in-law agreed, his grey eyes suddenly cold as the sea on a winter’s day. They reminded Harriet of tyrannical officers. She shivered. Thoughtful, Georgianne stepped out of the house into sunshine. Should she have warned Harriet about the earl? No, the young widow must judge him for herself. It would be wrong to prejudice her against her father-in-law. For all she knew, Harriet and her son might be the earl’s salvation. Georgianne ignored her inner voice, which expressed strong doubt. Well, she would keep in touch with Harriet, as she did with many other women who benefitted from her help. Harriet looked out of the drawing room window in Clarencieux Abbey – all stone carving, arched windows and hideous gargoyles – now transformed by her father-in-law into a fashionable gothic mansion. On any other occasion, the view would have delighted her. Beneath a cloudless, azure blue sky, from which the sun poured its welcome warmth, the recently scythed lawn stretched down to the still surface of the large man-made lake fringed by graceful weeping willows on its farthest bank. Alarmed, she watched the Earl of Pennington, who rode a sleek gelding, and her four year-old son, seated straight-backed on Prince, his strong Exmoor pony, which he doted on. Compared to the eighteen hand dun with black points his grandfather rode, George looked frighteningly small and vulnerable. No matter how often the earl assured her well-schooled Prince made an excellent riding pony for a young boy, Harriet could not control her fear of an accident. Moreover, throughout the last year her resentment of the earl’s high-handedness over his grandson’s upbringing, and his total disregard of her wishes concerning it, had swelled to the point of bitterness. Her jaw tightened when she remembered one of his most unwelcome dictates. On that occasion, when her anger flared, she managed to control it. She and Edgar, her late husband, had decided that if they ever had a son, they would name him George. “Although I agree Arthur is a noble name, Papa, why do you want him to be addressed by it?” she had replied, in an attempt to sound reasonable, although her cheeks burned with suppressed wrath. She was not his child. Although her temper increased until she thought it would boil over, with great effort she managed to contain it and employ guile. “Papa, I agree Arthur would be an appropriate name for my son, however-” A wave of the earl’s hand silenced her. “Very well, Papa.” Grateful to him for saving them from destitution, she consented out of gratitude. The earl’s gentle smile, which masked an iron-will, repulsed her. His generosity and many gifts, for which she was obliged, made it extremely difficult to protest over his determination to dominate her. This morning, in response to her request for the pair to walk their horses, the earl inclined his head, smiled, but made no reply. Now, without a leading rein, Prince trotted across the sweep of grass dotted with daisies towards the house beside his grandfather’s well-mannered mount. Harriet’s teeth clamped together. Doubtless the small flowers would be cut with ruthlessness to equal anything else that did not please his lordship. She clutched a fold of her expensive sprigged muslin morning gown, paid for from the generous allowance allotted to her by Pennington. Guilt and resentment warred within her. Guilt because before the earl acknowledged her and her son, they experienced such hardship that she prayed for death to claim them. Resentment because her strong-minded father-in-law insisted on taking charge of every aspect of Arthur’s life. In spite of the luxury surrounding her, while she watched Pennington and Arthur ride, her anger increased. The earl doted on Arthur. Indeed, he pandered to him so much that her son had become a small tyrant. Her hitherto obedient, sweet-natured little boy now indulged in shocking tantrums if his demands were refused. To make matters worse her father-in-law interfered whenever she attempted to discipline the child. Harriet clenched her jaw. Regardless of what Arthur did, the earl did not even allow Arthur’s nurse to punish him. Harriet wiped angry tears of frustration from her eyes. Her memories could not be wiped away so easily. If only her handsome, debonair young husband, a captain in The Glory Boys,had survived his last battle. Since Edgar’s death, not a day went by when she did not yearn for the sound of his deep voice, his ready smile and their tender, passionate, love making. Even now, Harriet visualised him, magnificent in his black hussar uniform embellished with gold and scarlet. She could almost hear his words. “Smile for me, Harriet, I shall always return to you sound in limb, and in the best of spirits.” Until his demise Edgar evaded the grim reaper so many times that she had believed in her husband’s invincibility. Harriet closed her eyes, trying to erase the memory of the mental and physical agony of giving birth to a fatherless child in the best quarters in Lisbon, the best her father, a major in the Glory Boy could afford for her. She squeezed back involuntary tears at the recollection of the day on which she received the dreadful news of Papa’s death in the Battle of Toulouse, the final engagement in the campaign against Napoleon before his exile to Elba. Until she glimpsed her child’s frightened face when he returned from a walk with his nurse, for a week she neither ate more than a morsel nor stopped crying. Until her father’s died, she and Arthur enjoyed his protection. Afterward, although in deperate need of a protector, she refused several marriage proposals. Of course, out of expediency, many army widows did remarry soon afer their husbands’ funerals, but Harriet rejected her suitors. In spite of her impoverished circumstances, she never considered replacing Edgar in her affections, and marry without love she would not. Now, at the age of four and twenty, at the thought of what might have been if Edgar lived, tears filled her eyes. After wiping them away with her handkerchief, she watched Arthur and Pennington dismount. Her son laughed in response to something his grandfather said. Harriet knew she should not be unappreciative of her father-in-law, nevertheless, she resented her separation from Arthur by the nurse appointed by Pennington, in his words “to relieve her of the tiresome task of caring for a child”. Despite hardships she never found it “tiresome” to care for Arthur. Fortunately, she approved of Bessie a young woman, whom Arthur liked, who took excellent care of him. “Mamma,” Arthur shouted when he entered the breakfast parlour, “Grandpapa and I went riding.” Arms outstretched he rushed towards the table set with Wedgewood china and an array of monogrammed flatware. Relieved to see him safe, Harriet stood. Regardless of the risk of her starched muslin gown being crushed, she spread her arms wide to embrace him. Her father-in-law stepped forward. “Be good enough to remember your station, Arthur. You are not a cottager’s brat.” One hand, marred by age spots gripped the child’s shoulder to prevent him from running forward. Arthur looked up at his grandfather, a trace of anxiety in his large eyes, the intense blue of the sky on a summer’s day. Harriet’s eyebrows twitched. The earl did not have the right to insist on formality. Since Arthur’s birth she had cuddled and kissed him, and would continue to do so. Arthur’s shoulders drooped, but he obeyed. Her father-in-law’s eyes gleaming with unmistakeable triumph, he glanced at her over the top of Arthur’s head of shiny brown curls. Harriet caught her lower lip between her teeth. No matter how much the earl provoked her, she would not engage in a direct battle over Arthur. She released her lip. Nonsensical for her father-in-law to have said Lady Castleton instead of your mamma to Arthur, and to have prevented him from running to her for a hug and a kiss on the cheek. Aware of a surge of angry colour, which heated her cheeks, Harriet made up her mind neither to allow the old man to wean her son away from his affection for her, nor to permit him to be in full control of her son. Her son looked up at his grandfather for permission. Harriet looked up at her father-in-law. Confound it, none of her ploys to charm the earl ever succeeded. Well, in her son’s presence, she would not brangle with him like a fishwife. She checked her desire to express her indignation. Instead she smiled at Pennington, pretending to be unaware that he did not consider her to have been a suitable wife for his late son. Although she was not a nobleman’s daughter, her parents had taught her how to conduct herself with decorum. Moreover, she prided herself on the good English blood she inherited from them. By birth, she had nothing to be ashamed of, even if she were ineligible to be considered to be a member of the ton – the so called upper ten thousand persons considered the cream of society – amongst whom the earl numbered. At the round table, her father-in-law seated himself opposite her with Arthur on his right. The elderly chaplain, good-natured Mister Rivers took his place on the earl’s left. Her spine stiff, Harriet sat between Arthur, whom the earl insisted should sit next to him, and the secretary, Mister Vaughan; a young man of approximately twenty-five years of age, whose eyes more often than not nursed a merry sparkle, in spite of his patron’s haughty disposition. No one spoke while the butler supervised the footmen, who put a silver coffee pot in front of Harriet and food on the table. While Mister Rivers intoned a short grace Harriet wondered what the sycophantic man of the cloth thought of the stone-pillared room decorated in the gothic style. Harriet’s gaze strayed beyond the arched window, through which she glimpsed the rose garden, bordered by low box hedges, basking in sunshine. “Coffee, or ale, my lord?” Harriet asked. Although she could not imagine him ever replacing her beloved father in her affection, his request was not unreasonable. “How foolish I am,” Harriet replied with false meekness intended to soften his heart. “I beg your pardon, Papa.” She poured the fragrant beverage into a porcelain cup, hand-painted with Wedgewood’s famous Kutani Crane design. A footman stepped forward to hand it to his lordship. Harriet suppressed her desire to giggle at such obsequiousness. “What did you say?” Pennington asked his quiet tone at odds with the outraged expression in his eyes. Arthur stared down at the table. The wrinkles on Pennington’s face deepened. “Castleton, I expect you to answer me when I address you,” he reprimanded Arthur, his unusual severity with his heir emphasised by addressing him by his title. Mister Rivers murmured an almost inaudible protest on the subject of not swearing in a lady’s presence. The earl ignored his chaplain’s timid objection. She hoped Arthur still knew better than to lie to her. Pennington, whom she knew rode roughshod over any opinion, which did not concur with his own, did not answer her. An uneasy silence, other than instructions to the footmen to serve them with eggs, ham, kidneys, rolls or toast, followed until Arthur broke it. “Be good enough to allow the boy to do so,” Pennington intervened. Yet again, although he interfered, she forced herself to remain silent in an attempt to seem compliant and keep him in a good humour. Harriet wanted to cheer. For the first time, her father-in-law thwarted Arthur’s wishes. will,” he screamed, pounding his small fists on the table. On such a warm day, even if Arthur’s skeleton suit, with trouser buttons fastened to a shirt beneath a short-waisted jacket, was unbearably hot, it was not an excuse for ill manners. Harriet pulled back Arthur’s chair and turned it around. Interfere! How dare he say that, to me?” Papa, please remember that in spite of Arthur’s … er …in your own words, ‘strength of mind’, he should not be rude.” She spoke softly in an attempt to appease him. Without undue force, Harriet seized her son’s upper arms to raise him to his feet. When she managed to haul him out of his chair, she released him.”Look at me,” she ordered. Instead, Arthur sank to the floor and drummed his heels on the flagtones. Harriet noticed Mister Rivers appalled expression, and heard him murmur something which concerned sparing the rod and spoiling the child. She glanced disapprovingly at him, for she never smacked Arthur and would never beat him. Infuriated, Harriet stood still. “To the nursery, Arthur.” She took deep breaths to calm herself. “That is your misfortune. In future, unless you promise to behave, you will have your breakfast in the nursery. “She rarely spoke so firmly. When she did, Arthur knew better than to argue. “My dear child, I must protest-” the earl commenced. Pennington inclined his head towards her. “You may withdraw. “Thank you.” Without a backward glance at either her father-in-law, Mister Rivers or Mister Vaughan, Arthur’s hand in hers, she marched him out of the breakfast parlour. Satisfied that she had acquitted herself well, Harriet pressed her lips into a firm line. Pennington would ruin her son if she did not find a way to escape from their dependancy on him. Displeased with his daughter-in-law, Pennington looked at the arched door, which a footman closed after she left the breakfast parlour with Arthur. Although his grandson should not have thrown a fork at him, Lady Castleton should appreciate that when the boy knew what he wanted he went after it with admirable, single-minded determination so like his own. Well, at least his son’s widow deferred to him. Furthermore, she seemed grateful for her maintenance. In his opinion ladies should be dutiful and obedient. Their families expected them to marry well, defer to their husbands, organise their households, participate in society and amuse themselves with feminine pursuits. Lady Castleton should obey him without either argument or reluctance. Whatever the cost, regardless of the circumstances, he would not allow Edgar’s widow to interfere with Arthur’s upbringing. Not for the first time, Pennington asked himself why his son married a woman of unequal birth without a dowry. Oh, he supposed, her charm would appeal to some men, for although she was only some five foot two inches in height, she kept her back straight and moved gracefully. After a moment or two’s thought, he conceded she had some good features – thick brown hair, bright blue eyes, which Arthur inherited from her, besides a good complexion. Yet, he concluded, she was not remarkable. Thoughtful, he kept himself well in hand while he finished his breakfast. As for the nurse, his grandson was not a common boy. How dare she pinch Arthur’s soft round cheeks. What was more, she did not have the right to withhold his silver mug from him. Well, it would be ungentlemanly to chastise the child’s mother for her protest when he had announced his decision to dismiss Bessie Cooper. His daughter-in-law’s objection would not alter his decision. Unruffled, he ate the last morsel of kidney, dabbed his mouth with a monogrammed napkin and stood with no more effort than a young man. At the age of sixty he prided himself on his slim figure, which, unlike so many of his contemporaries, did not require stays. Congratulating himself on his own elegant appearance, he shuddered at the thought of the Prince Regent’s corpulence. Dominic Markham watched his elegant mother leave the dining room, followed by Gwenifer, his widowed sister, who kept house for him. “And I am glad to see you in good health,” Dominic replied. Indeed, his father, Joshua Markham, Earl of Faucon. was in fine fettle for a sixty-eight year old man. “How long can you stay? Your mother hopes you can spare us a few days.” Joshua sipped his port. To judge by his silence, before he spoke again, it seemed something pressed on his mind. “Several families you might wish to become reacquainted with have left London and come to Herfordshire for the summer months. Unfortunately, they include the Earl of Pennington, whom I would not choose for a neighbour. By the way, the latest news in the area is of his daughter-in-law, Lady Castleton, and her son – what-is-his name? – ah, yes, Arthur, of whom little is known. They are living with the earl? Your mother has decided we must call on them,” he ended, with a note of disapproval in his voice. Dominic sat a little straighter. “I hope gossip apropos my ill-doings has not come to your ears,” he teased, in an attempt to lighten his father’s mood. “Yes, I know,” Dominic agreed, in a subdued tone of voice. After so many years, he wished he could help his father come to terms with grief. Yet, although he was a thirty year-old rector, it seemed futile to remind Papa The Lord giveth. The Lord taketh. Blessed is the name of The Lord. The truth? Dominic sat a little staighter. So many fine men, including his brothers, had sacrificed their lives when they fought against France to preserve the Rule of Law. What more was there for his father to say on the subject? After Joshua refilled his glass he slid the decanter across the table. “Even if they put their troubled past behind them, it would be useless. There is no way to soften this news, although, I daresay a clergyman can bear it better than most men. Robert’s health has deteriorated. I am sorry to tell you that, at the most, he has no more than a year to live.” Joshua’s hand shook. A few drops of blood-red port fell onto the table. “Loose living,” Joshua explained, his voice bitter. “Don’t plague me for details, I cannot bear to speak of them.” He gulped his port as though it were a lifeline. “Surely a cure can be found,” Dominic protested, while he struggled to come to terms with the news. Elbows on the table, Joshua propped his head on his hands. “The best doctors and physicians have been consulted. They all say Robert’s case is hopeless. That is why I sent for you.” His eyes suspiciously moist, Joshua drank more port. The youngest son of the family, Dominic had never imagined wearing a coronet and robes of state. He had neither been trained to become the future Earl of Faucon nor to accept the responsibilities it would entail. Faced with the prospect, he did not know if he was capable of the challenges that would arise. “I might predecease both of you,” he murmured, unable to visualise himself taking a seat in The House of Lords. Dominic studied the vivid colours of the Aubusson carpet’s hexagonal pattern. Although he could neither condone nor understand the reason for the plunge into degradation, which brought his eldest brother so low, he sympathised with him. Poor Robert entered into a disastrous arranged marriage, which drove him to take ever-increasing consolation in alcohol and opera dancers. Indeed, last time he saw him, Robert looked much older than his forty-two years, and suffered cruelly from gout besides being liverish. Dominic understood why his father emphasised the word ‘suitable.’ His future wife must be a flawless diamond. Nevertheless, he would not enter an arranged marriage, which might prove as disastrous as Robert’s. His poor brother! He should offer him consolation. “My lord, I must visit, Robert.” He used his father’s formal term of address to stress his determination. “I must see him,” Dominic repeated, tactfully pretending he had not noticed his father’s tears. “Maybe he will recover.” He clutched at an unlikely straw. “There might be a miracle.” He suppressed his grief. Shocking enough to see his proud father succumb to anguish without adding his own. Three days after he left Faucon House, Dominic sat at his desk in the spacious library in the rectory at Queen’s Langley in Hertfordshire. He dipped his goose quill into the ink pot. After a moment’s thought, he added a few lines to his sermon, on the subject of “It Is Better to Give than Receive”, in elegant copperplate handwriting. He would deliver it on Sunday from the pulpit of the Church of Saint Michael and All Saints. He tried to concentrate and failed. The prospect of an arranged marriage did not appeal to him. Only once, soon after he graduated from Oxford, had he fallen in love. It came to nought. Afterwards, depite the lures cast at him, no other lady ever tempted him to exchange his single status with matrimony. He repressed a smile at the thought of young ladies, who pursued him. Even when chaperoned by their mothers, they tried to find an opportunity to be alone with him. Dominic knew females admired his good looks, which he placed little importance on. He also knew their parents would not reject a suitor with an income from three parishes, who had also inherited several legacies from relatives. On the marriage market, he was considered ‘a good catch’. The question was, did he want to be caught? No, he did not, but regrettably love for his father and duty to his family demanded the sacrifice of his comfortable bachelor existance..
His thoughts returned to the sermon. What should he write next? He put his quill down. While Dominic sipped a glass of home brewed birch wine, to which he was partial, he stared at the vista of his well-kept garden in front of the rectory, on the border of the road to the village. Where was Robert? If only he could bring him here to be nursed in the peace and quiet of the country. On warm summer days, Robert could sit outside and, maybe, recover his health. Mrs Cooper opened the garden gate. What did she want? A word with Gwenifer? He wrote another line of his sermon. “I hope I can help her. Please ask Lottie to show her in,” he requested Gwenifer was always aware of his duty to care for his flock, although women’s tears made him uncomfortable, even when they aroused his compassion. At the time of his ordination, with three older brothers, it had seemed unlikely he would ever become head of the Faucon family. So, although he did not have a divine calling, he accepted the career and provisions his father made for him, and entered holy orders. A clergyman could not participate in every pleasure available to members of the ton. Nevertheless, he enjoyed spring in his parish of Rivenden, which was near enough to the capital city to be advantageous during the London Season, the summer in Queen’s Langley, and autumn in his third parish where he joined the hunt. Lottie opened the door, bobbed a curtsey and stood aside to allow the visitor to enter the library. “Mrs Cooper,” Dominic greeted the middle-aged woman dressed in an old-fashioned brown gown. Dominic indicated one of a pair of chairs, upholstered in faded green brocade. Surely Mrs Cooper was not so naïve that she believed a member of the aristocracy would marry a country girl. For whom did Bessie work? He searched his memory and recalled the name of her employer. “A relative of Lord Beringford?” he asked. Mrs Cooper’s eyes opened wide. “I am shocked to the bone, sir! My Bessie is a good Christian girl. Surely you don’t think she would….would-” flustered, she broke off, colour flooding into her weatherbeaten cheeks. “I hardly know where to begin, Mister Markham. My poor girl’s in jail in St. Albans. She’s accused of theft. I swear it’s not true, sir, I know it isn’t. Bessie’s honest. Even if she were starving, which she’s never been because I’ve always laid a table with good food, she’d never steal even a crumb of bread not rightfully hers.” At the end of this somewhat muddled sentence, she sniffed several times, her workworn hands clasped tightly together on her lap. Mrs Cooper nodded, seeming too overcome by Bessie’s dreadful circumstance to speak. Dominic held up his hand in an attempt to halt the aggrieved housewife’s flow of words. She ignored the gesture. Thoughtful, Dominic gazed at her, grateful because his father never applied the rod while he, his brothers and sisters grew up. Indeed Papa never allowed anyone else to do so, although he had his own means of punishment. The worst were gentle reproaches and expressions of disappointment concerning the culprit’s lack of conduct. On such occasions Dominic’s guilt induced him to wish the floor would open and swallow him up. Anything would have been preferable to being the cause of his dear father’s displeasure. “Lord Castleton’s father is dead, is he not?” Dominic asked. “Where did Bessie put the mug?” he asked, not immune to the plea in her tear-filled hazel eyes. “Yes, that’s true, Mister Markham. Bessie says the earl lost his temper when she tried to explain. Please, sir, speak to his lordship. He’ll listen to you.” Mrs Cooper burst into noisy tears and covered her face with her hands. Of course, he must do whatever he could to help the Coopers. Nevertheless, Dominic doubted the eccentric earl would yield to any representation he could make on Bessie’s behalf.